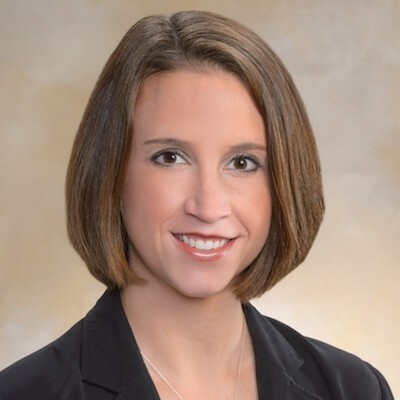 Stephanie joined KeyBank in June of 2015 after over ten years of previous banking experience. In her tenure as a banking advisor she has developed a strong tie to her clients and the community in which she serves. Stephanie serves businesses in Central Indiana. Her financing specialties include: business acquisitions and buyouts, working capital lines of credit, equipment loans, and commercial real estate. She works closely with her clients to ensure optimal cash flow is achieved allowing for streamlined finances, and for owners to focus on growing their business. Prior to becoming a banking advisor, Stephanie received a BS in Management from Purdue University and an MBA from Anderson University. An important aspect of her life is her family, Stephanie lives in Fishers, IN with her husband, Travis, her daughter, Amelia, and her son, Grant.